Do you love classic style as well as having and keeping all the attention on you? Then have we got the shoes for you. 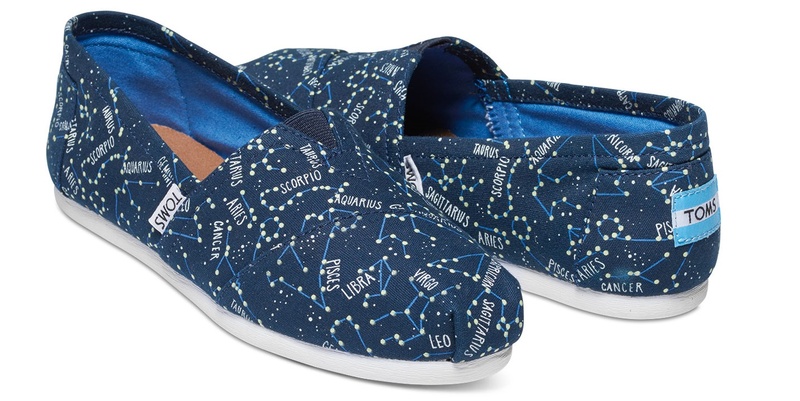 The TOMS Glow in the Dark Constellation Classics boast much more than meets the eye. The classic TOMS Alpargatas slip-on features a very cool zodiac constellation map that glows-in-the-dark, and boasts all the lightweight comfort that TOMS Classics are known for. When you expose these shoes to natural or artificial light for 30 minutes, you're rewarded with 8 minutes of eye-catching and attention-getting glow-in-the-dark power. How cool is that? 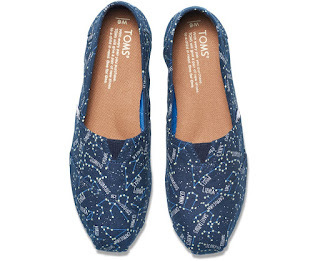 This interstellar slip-on also features a new molded footbed for increased cushioning; and as always, with every pair of shoes you purchase, TOMS will give a new pair of shoes to a child in need through their One for One® program. get your own pair of TOMS Glow in the Dark Constellation Classics for $55.00 on www.toms.com.